A course on a new therapeutic tool for accessing the brain’s self-scanning system. The next evolution in brain-based therapy is here. With a technique he calls Brainspotting, Dr. David Grand has discovered way to combine talk therapy's ability to help us understand our own psyche with brain-based therapy's extraordinary power for catalyzing rapid healing. With Brainspotting, this pioneering therapist offers a four-session, self-paced course on this revolutionary method for harnessing the brain's own self-scanning system to help us locate and resolve old trauma, overcome obstacles to physical performance, and unleash our full creativity. Four downloadable video sessions of insights and practices using Brainspotting in any therapeutic environment to help bring about rapid and effective change. Includes a pre-recorded Q&A session. The entire program of Brainspotting is yours to keep and return to at any time. At the heart of the Brainspotting method is the realization that where we look directly relates to what's going on in our brain. Dr. Grand discovered this technique during a remarkable treatment session with a top-level figure skater. After observing his client's eyes reacting at a certain spot in her visual field when she spoke of her difficulty executing a particular jump, he asked her to focus on that one spot while processing her feelings. To his astonishment, the skater suddenly unearthed and worked through traumas that she'd never spoken of in her therapy—and since that day, she has been able to perform her jump flawlessly. Expanding on that insight over the next decade, Dr. Grand has learned that the eyes have an intimate and precise relationship with the brain that works in both directions. He's found that when our eyes scan the visual field for information in our environment, they are simultaneously scanning the brain for our thoughts, feelings, ideas, and even the location of repressed memories and emotions. In short: by carefully observing where a client's eyes focus, a therapist can gain a direct insight into what's going for that person at the neurological level—and use that insight to accelerate healing. 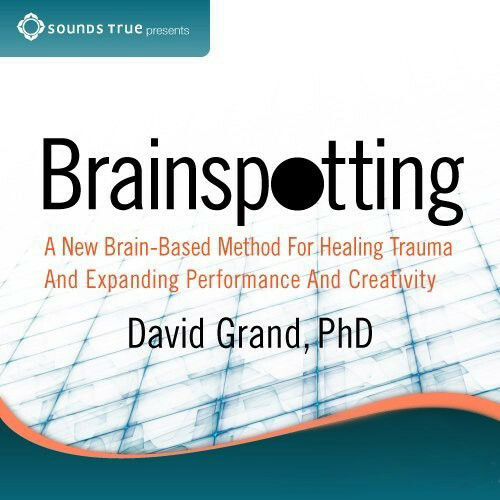 Since his discovery of Brainspotting, Dr. David Grand has refined and taught the method, using it with great success to benefit athletes, artists, business leaders, and survivors of traumas such as 9/11, Hurricane Katrina, and active combat. The method is currently being taught and used in North and South America, Europe, and the Middle East—and is rapidly becoming recognized as a powerful synthesis of brain-based and traditional therapy. In this online training course, you learn about many applications of Brainspotting directly from the founder of the method. Using an engaging combination of lecture, book-based insights, and demonstrations with members from a live audience, Dr. Grand will reveal the potential of Brainspotting to serve as a powerful supportive tool for almost any form of therapy. Designed for therapists, their clients, and anyone interested in learning about this new therapeutic approach, the workshop begins with an overview of the practice and history of Brainspotting. Dr. Grand then turns our focus on how the method can be applied to mental health issues, especially trauma. He then presents the applications of Brainspotting to sports and creative performance, including demonstrations of Brainspotting-based coaching with an actor and an athlete. "In the 10 years since we began using Brainspotting," Dr. Grand says, "we've come a long way in understanding how we can use our brain's natural scanning system to promote healing. I believe we've just scratched the surface of what's possible as we develop this method in new ways." With Brainspotting, you are invited to join this innovative therapist to learn how this powerful approach can enhance any system of therapy or psychological self-care to help spark rapid, effective healing and change. I took the on-line course after having Level I and II with Pie Fry. I thought it would be a concise review, but it was so much more. The demonstration with the sports trauma introduced so many new intuitive interventions. David's words touch my soul: "Integrate BSP with what you already know...the brain is integrative." "Relationship trumps technique." Yes, it was a great taste of David's wonderful new trauma technique. For the cost of this online course, I thought it was good value for money. I do want to now read his book and become more proficient in the use of this powerful technique.